Danny Kiko Gallegos, Braden Parker Emerson and Levi Joseph Collins have been missing since October 2014. 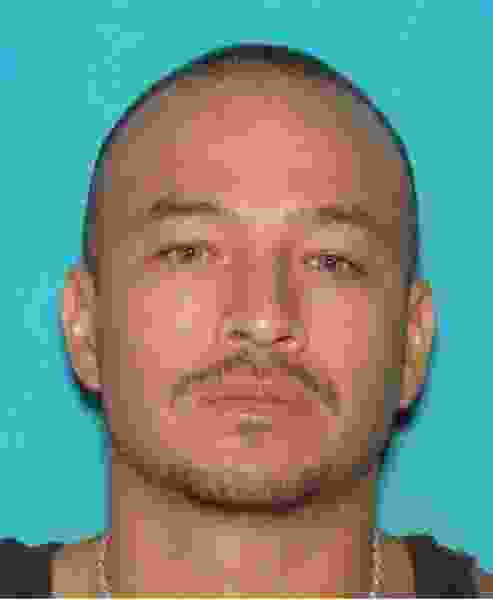 | Courtesy Salt Lake City Police Danny Kiko Gallegos is one of three men that police are looking for. All three are presumed endangered. In a dramatic revelation in federal court during a sentencing in a money laundering case, a Utah defense attorney said Tuesday that three men who disappeared more than three years ago were killed by his client’s father. The trio — Danny Kiko Gallegos, 35; Braden Parker Emerson, 23; and Levi Joseph Collins, 34 — was last seen by family and friends on Oct. 31, 2014, when they left in a Chevrolet Tahoe to ride ATVs. Salt Lake City jeweler Justin Scott Christopher has admitted to pretending to be the buyer and owner of a car that actually was purchased by Gallegos with drug-trafficking proceeds. Christopher, 28, was the owner of the now-closed JC’s Custom Jewelry at 230 W. 200 South, where his father, 52-year-old Richard Christopher, also worked, court records say. Before Justin Christopher’s sentence for money laundering was handed down Tuesday, defense attorney Loni De Land gave U.S. District Judge Dee Benson his client’s account of how the three men were killed. De Land said Justin Christopher wanted to stop laundering money but Gallegos was insisting that he continue. The two men were arguing in the jewelry store when Richard Christopher walked up and shot Gallegos in the head with a .22-caliber round, according to De Land. The father told his son to to clean up after the shooting and then went outside the store, where Emerson and Collins were waiting for Gallegos, De Land said. Richard Christopher told the two that Gallegos would be awhile and asked for a ride, according to De Land. Once they reached their destination, Richard Christopher allegedly shot and killed Emerson and Collins. 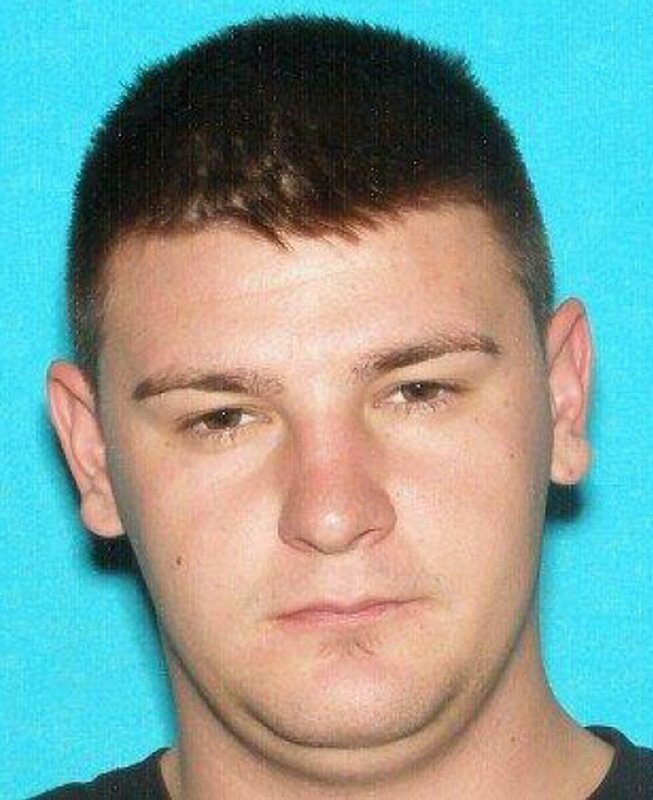 | Courtesy Salt Lake City Police Braden Parker Emerson is one of three men that police are looking for. All three are presumed endangered. “My client got involved in the disposal of the remains,” De Land told Benson, adding that the bodies were incinerated. De Land told The Salt Lake Tribune that the Christophers incinerated the bodies of the three men at a Spanish Fork pet crematorium where the son had worked. They incinerated the bodies late at night or early in the morning, De Land said, without the crematorium’s knowledge. He said the remains, as well as two guns used in the shootings, were later disposed of in a canyon near Bountiful. Justin Christopher later went to Salt Lake City police and told them everything, De Land said. Animal control officers responding to a report of a dog left inside a vehicle found the SUV Nov. 3, 2014, abandoned at about 1800 West 1500 South. Inside the vehicle was a large amount of blood and a quarter-pound of methamphetamine in the console, court records say. The blood was Emerson and Collins’, De Land said. The dog in the SUV was not injured. An ATV the SUV had been hauling was found later at an auto shop, where it reportedly had been dropped off, along with its trailer, for repairs. Justin Christopher — who has an immunity agreement that protects him from prosecution in the deaths — led police to where the remains had been left, De Land said. A bone among the remains was from a human but did not produce identifiable DNA. The Christophers were arrested Nov. 20, 2014, at an RV in West Valley City where they were living, the son on federal money-laundering charges and the father on an allegation of being a felon in possession of a firearm. Hundreds of rounds of ammunition and 15 firearms were found inside the RV, prosecutors say. After Justin Christopher pleaded guilty in August to conspiracy to commit money laundering, a charge of aiding and abetting money laundering was dropped as part of a a plea bargain. In a written statement, Christopher admitted he had signed his name in April 2014 on sale paperwork as the buyer and owner of a Lamborghini Gallardo when, in fact, the vehicle was sold to “another person.” That person was Gallegos, a drug dealer who put up $102,000 for the purchase, court records say. The records also say Gallegos had been under investigation by federal law enforcement officers and started cooperating with them in about July 2014. The probe covered his alleged drug trafficking and his financial activities, according to an affidavit an IRS criminal investigation agent filed in support of the charges against Justin Christopher. The November 2014 affidavit says Gallegos — referred to as CI, for confidential informant — had no known legitimate source of income. However, he usually had large amounts of cash from his drug trafficking and would assign ownership of his assets to someone else to thwart their seizure by law enforcement, the affidavit alleges. According to court records, Gallegos intended to buy a house in Kearns and a real estate agent sent Justin Christopher an email on Oct. 31, 2014, with documents — all in the jeweler’s name — that needed to be signed for an offer to be made on the home. De Land said Justin Christopher balked at getting involved in more money laundering, leading to the argument at the store. Prosecutors sought a 41-month prison term for Justin Christopher, but De Land asked for probation citing his client’s good behavior during three years of pretrial release and mentioning his cooperation with Salt Lake City police in the investigation of what happened to the three men. Justin Christopher told Benson that he has been working and taking online college classes. “I know what I did was totally wrong,” he said. Benson handed down a sentence of three years of probation and a $2,500 fine based on Justin Christopher’s behavior in the past three years. The judge warned Justin Christopher that he would not be lenient if he landed back in court for violating any condition of his supervised release. Richard Christopher, who was convicted in Idaho about 10 years ago of domestic battery, pleaded guilty in federal court in Salt Lake City to being a felon in possession of a firearm and was sentenced in October 2015 to just over 3½ years in prison. He is now in a halfway house and is scheduled to complete his sentence Jan. 28, according to prison records. No charges have been filed in connection with the three missing men. Salt Lake County District Attorney Sim Gill said this week that the disappearances are still under investigation.